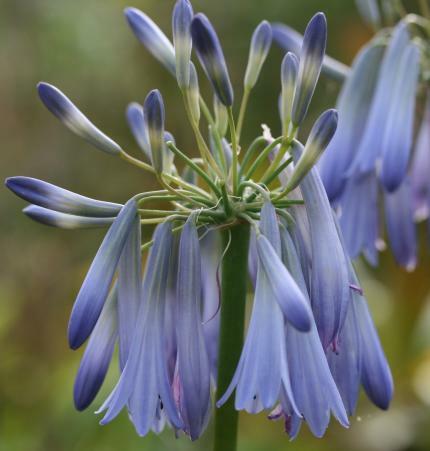 Towering strong stems with heads of pendant powder blue tubular flowers, July to August. 1.4m tall. Sun. If grown in containers feed regularly and protect pot from frosts in winter.